The first time electric knives became popular was in the 70’s. Electric knives were at the time the number one choice when it came to slicing meat and became the iconic item for any Thanksgiving dinner. Overtime, though, the electric knives have lost some of the glamour from the 70’s, but they still make a good choice for some. For the heavy meat eaters, the electric knife is definitely a must have, but either than, it’s very likely that you are not going to use the electric knife very often. Of course, you can also use the electric knife to cut bread-and, as a matter of fact, the bread gets the perfect cuts only when using an electric knife. Why use an electric knife? What to look for an electric knife? In the early beginnings, the knives weren’t very well made and some failed to do their job. They would shred and tear meat, making any professional cook go back to the standard knives. Truth be told, there were many models that would shred into pieces a turkey meat nicely cooked for five hours. Luckily for all of us, the electric knives got improved over in time and nowadays they don’t shred meat anymore, they are more resistant to breakage and they don’t make a mess any more. We need to be true to ourselves and admit that you can only use the electric knives in certain situations and you can’t expect great performances in some cases. Therefore, don’t expect much from the electric knife when cutting tough meats or soft foods just as well. You can successfully use it for poultry though as it’s moist and not as tough as red meats. If you still have to use the electric knife on red meat, pay attention and don’t hit the bone with the blade as you may ruin the blade like this. It’s great to use an electric knife as you don’t need to use much force when cutting anymore. The blade slices through food fast and easy, without you having to put much force into it. The electric knife gives you great speed when cutting the meat and it only takes 1 minute to cut a turkey, and not 10, like when you cut with a regular knife. Accuracy is another great thing that the electric knife gives and you are able to cut even slices of meat. The electric knife is the perfect choice in case you cut a lot of meat and bread as they are especially made for carving. You can find nowadays corded or cordless electric knives. 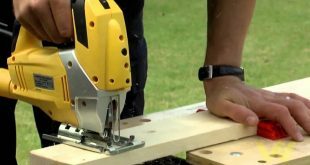 When it comes to freedom on cutting, there is no other better option than the cordless electric knife, but you constantly need batteries to power it. If you don’t use it very often, the electric knife may end up in a drawer and its battery may get depleted. This is why corded knives seem to work better and you get more constant cutting power. On the other hand, though, you lose some maneuverability. The blade on your electric knife is also very important and the knife should come with a blade for meat and one for bread. Most models come with a blade for meat and you need to buy also the blade for bread cutting. Most electric knives vibrate a lot and may hurt your hand, which is not that great. 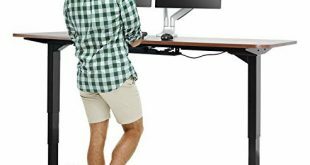 New models come with an ergonomic handle that leave a comfortable feel and grip. Even though this is not as important as the previous features, you’d also want your electric knife to look nice and to be easy to store just as well. Most electric knives come with removable blades for easier cleaning. It’s better to use the dishwasher, even though hand washing is also easy to do. 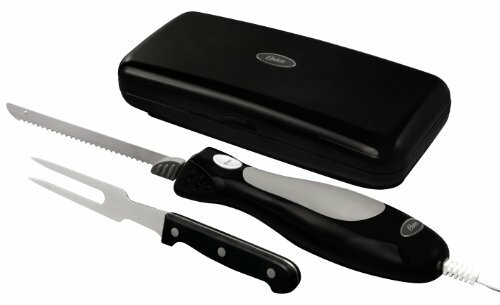 Some electric knives come with their own storage case or unit for the blades and for the electric part just as well. As you don’t use daily the electric knife, the storage case is essential for it. Even though the high price doesn’t necessarily mean high quality, it’s common sense to admit that the more you are willing to spend on your electric knife, the more you can expect from it. Simple, reliable and efficient for various cutting jobs in the kitchen, the Oster FPSTEK2803B Electric Knife with Carving Fork and Storage Case is a sure option, when your expectations don’t go over the top. But either does your budget. The knife comes also with a fork and they are all packaged in a storage case. The knife and fork are protected when not in use and also take your worry away for finding a safe and small space for displaying them. The knife comes with a special cutting tip that is efficient when carving the difficult to reach areas. The knife has an ergonomic design and the use is comfortable. You don’t need to apply high pressure when carving/slicing and your arm doesn’t get tired from using the knife either. The grip on the knife and fork is good and sturdy. The non-slip pad on the handle lets you hold nice and tight the knife at all time. The blade is the standard length and this makes the knife useful when cutting various foods. The blades are sharp and tightly close so you can get the thinnest slices with the knife. The blade ejector works smooth and well and is safe. The button is well placed so you worry less on the safety of use. You can cut easily bread, meat and the knife comes with a very attractive price. All in all, when you don’t want the sophisticated cuts and jobs from your electric knife, the Oster makes a good choice. If you’re not the picky cook that has the highest expectations from its electric knife and want a simple, yet reliable electric knife, take a leap of faith and get the Hamilton Beach 74378R Electric Knife & Fork Carving Set Stainless w/Storage Case. 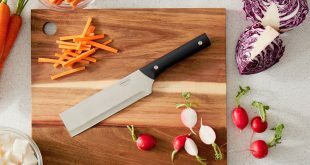 The knife comes with a versatile blade that gives clean and precise cuts and perfect slices in many situations. The knife carves and slices well and the fork that comes along helps you do a better job. The stainless steel blade is sharp and pretty long lasting. The handle is good and the grip is sturdy. The same thing goes for the fork also that is efficient and functional. The knife comes with a small storage case that keeps everything together. The case doesn’t take much space for storage also. And, if you feel you get lost when seeing all those types of bread, the bread guide that comes along with the knife gives you a hand to achieve the perfect slices of bread. The knife is efficient and may be used for slicing and carving so many types of foods. For a very good price, though, you get a reliable, efficient and pretty sharp electric knife. When you want to try a different type of electric knife, give it a go with the Wolfgang Puck Electric Knife with Rotary Handle. 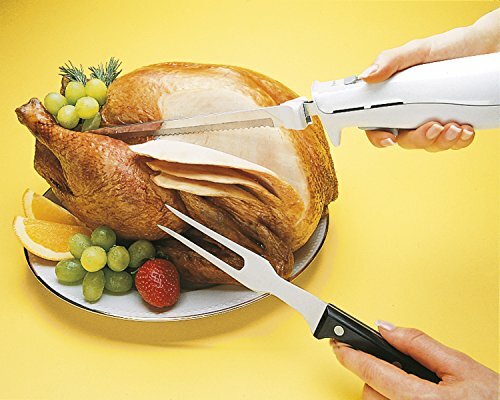 The electric carving knife gives you the possibility to cut thin or thick slices, precisely and easily every time. The patented rotary handle is well thought out and you get 4 different angles when cutting, which is so convenient in so many situations. 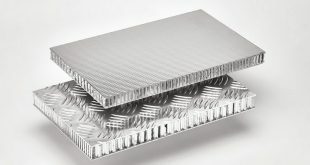 The stainless steel blades are serrated which is why you may use the knife both for frozen or cooked meats, not to mention the bread, no matter the type it may be. They are very sharp and give precise slicing and cutting. The double safety switch makes the use of the knife safe and secure every time. The knife has a compact design so it doesn’t take much space for display or storage. The knife looks solid and gives you a good cutting control. The grip on the handle is good and sturdy in most situations. The knife is easy to handle and to clean. All in all, the knife gives think or thick slices and is a great choice for the less experienced cooks. For the parents that worry a lot for the safety of their children when having an electric knife in the kitchen, a good option is the Kitchen Knife Bundle – High-Powered Electric Knife. The two stainless steel blades are sharp and let you cut through any meat or type of bread. 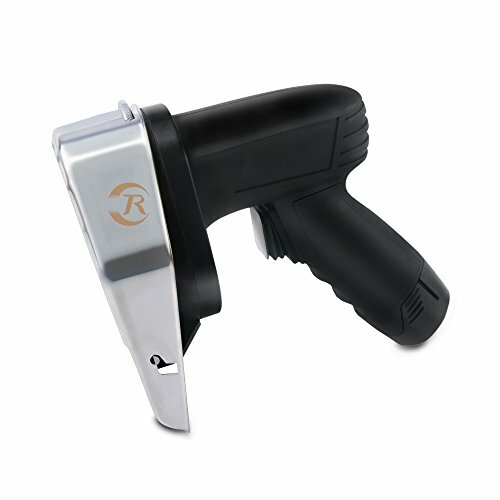 You can cut bones and thin slices of bread just as well and the knife ensures clean and accurate cuts every single time. You can also get some nice thick slices of meat with the knife or easily cut some crusty baguettes. The baguette doesn’t make crumbles and doesn’t break either. The handle has an ergonomic design so you may use comfortable and tired-free the knife. Its design is cozy for both right and left-handed people. The handle is non-slip so that the grip is sturdy even though you cut some tough meats. The wood knife block storage tray has a safety lock system so you can securely store the knife around your children. The block has an elegant look and you may display it standing up. if this doesn’t fit you, you may also tuck it away in a cabinet or cupboard, lying down. The one-touch pressure-activated on/off trigger eliminates the accidental start of the knife. The blades are easy to switch and you only need to activate the lock switch and remove carefully the blades. The knife is easy to assemble/disassemble in order to cleaning it. You can clean the knife with some warm soapy water and it’s better to avoid the dish washer. The knife comes with a long cord that sustains the easy use. As the issues are too small to matter when you take a look at the big picture, we think the knife is a great choice especially for the parents that are concern about their kid’s safety. 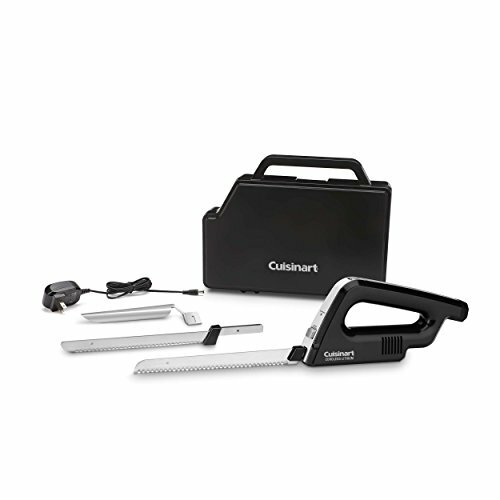 When electric knife isn’t quite electric enough for you and you want total freedom when slicing the bread, get yourself a cordless electric knife like the Cuisinart CEK-120 Cordless Electric Knife. The knife easily helps you cut meat, cheeses, breads and vegetables. It’s powered by a strong, ready to take the heavy use brushless DC motor. The stainless steel blades are serrated and you get different blade for meats and various foods and a designated blade for bread. 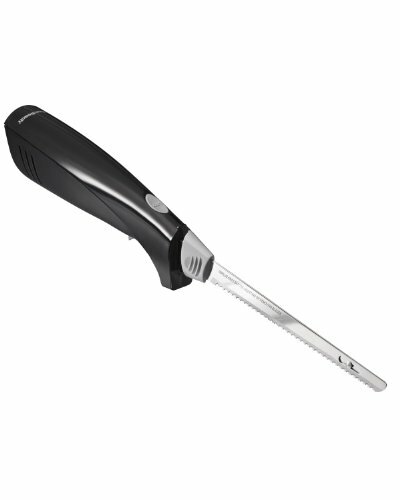 The rechargeable LI-Io battery gives you long wear and use on the electric knife. The knife is also safe to use as it comes with a safety lock. The knife is highly portable and gives you plenty of freedom when carving. You don’t have to be neat a socket as it’s cordless so you can cut the bread right on the table. The ergonomic handle ensures a comfortable use. The one-touch operation button makes the use easy all the time. The built in LED light gives you great visibility, even when slicing in dim light. The adjustable slicing guide gives you clean, even and consistent cuts every time. The battery runs for long until it needs to be recharged again. All in all, if you want total freedom and easy use from an electric knife, this is definitely a go getter. When your wallet is not that big, but you don’t want to settle for the cheapest electric knife either, make a compromise and get yourself something in between like the Electric Carving Knife 6110. The serrated stainless steel blades are sharp and give you even, accurate cuttings every time. 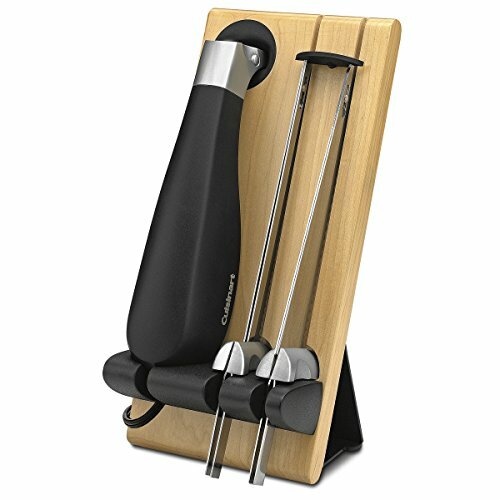 the drip guard helps you cut easily and smoothly meats, breads and other foods. The blade eject button is both efficient and runs smooth. You can easily remove like this the blades for a faster and cozy cleaning. The power button gives you one-touch operation, so you don’t need to worry about how to use the knife. The grip is secure and comfortable. The knife is easy to use for both left and right handed use. The strain and fatigue are minimum when using the knife. The knife has a good weight and feels cozy in the hand. All in all, for a fair price, you get a reliable, sharp electric knife that is quite handy in your kitchen. 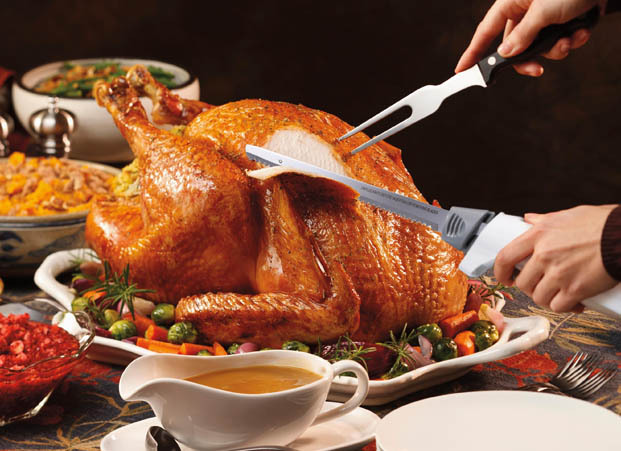 Just because you’re tight on a budget, doesn’t mean you can’t have a good, efficient electric knife that does all the heavy work on regular basis, not only on Thanksgiving. A great example for the description is the Hamilton Beach 74250 Carve ‘n Set Electric Knife with Case that helps you get the perfect cuts, most of the time. The electric knife easily carves meat, but it’s a great tool to use when slicing bread, just as well. It doesn’t matter the type of bread, as the knife slices nicely and perfectly every time. 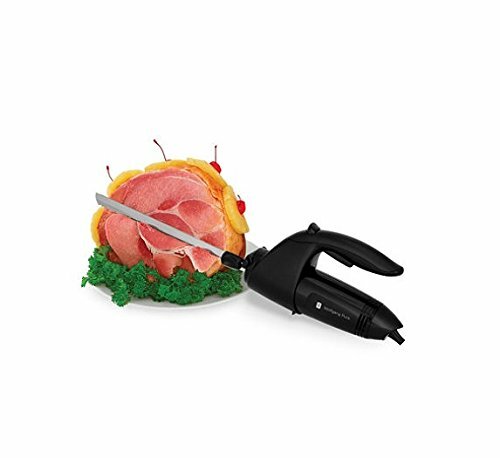 The knife is powerful (100-watt powerful to be more accurate) so that you can use it to cut perfect slices of thick/thin ham, turkey, bread and so on. The handle has an ergonomic design and gives a good grip. You don’t need to apply any pressure when using the knife so it’s easy to use it. The knife is easy to disassemble for a fast cleaning. The fork is dishwasher-safe and you should hand wash the blades with some hot, soapy water. The knife, the fork come in well thought out storage case that keeps all parts together. Not to mention the case is easy to store also. The knife and fork are built to North American Electrical Standards, which means you get a pretty good deal. Despite the cons, for the money you pay, you get a powerful, precise and reliable electric knife that does a good job for some time. When you have the energy to fillet more than 100 crappies without having a break, let us know as it’s only up to you and not the knife we say it’s up for the job. The Rapala Lithium Ion Cordless Fillet Knife gets the job fast and easy and it may run more than 80 minutes continuously, with no loss of power. The blade is sharp and may be used for long time, worry free. The knife is not heavy weight and leaves a nice feel in the hand. The grip is comfortable, sturdy and you may use the knife for more than one hour without having your hand feeling tired or numb. The knife presents nice features like the low “memory” effect that increases the number of charge/discharge cycles for longer battery life. 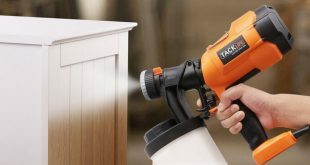 The high-torque motor gives you fast speed and precision when cutting. It has an airflow design so it runs smoothly and quiet. The blade has a good length and doesn’t wiggle. In order to run for 80 minutes, the knife has to charge around 2 hours or so. It comes with a 110V AC charger. The knife is easy to use and clean. Despite the minor issues, we still think the knife makes a good choice to fillet crappie. Already landed, of course. After you managed to land your walleye, you need a reliable, sharp and efficient electric fillet knife that does the rest of the job. The American Angler PRO Electric Fillet Knife with 8-Inch Freshwater Blade is a great option to try as it’s strong and helps you filleting your walleye nice and easy. The strong gear and motor system gives you great cutting torque. Despite the power, the knife is easy to use and doesn’t make your hand tired after use. The 110Volt power ensures smooth and continuous filleting. The knife has an ergonomic design that keeps fatigue and strain at distance. The venting is well engineered and the cooling fan help the knife run longer, without overheating. The 8 foot polarized power cord is efficient and gives you quite some freedom when using the knife. The knife comes with a handy carrying bag that is breathable so that there is no odor or corrosion building up on the knife. But, when in need for an electric fillet knife for your walleye, the knife is a great choice to try. 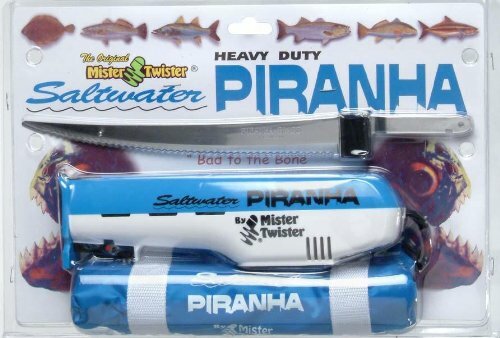 If you are on a hunt…for an electric fillet fish for your soon to be landed catfish, don’t sit on a fence and try the Mister Twister MT-1208 Mr Twister SW Piranha Knife. There are many good things that the knife presents, apart from its very attractive price, of course. The electric fillet knife has a rugged build and is ready to take the heavy use. the cutting surface is enlarged so you can easily handle a big fish like the catfish. The high torque gives you great power but you can still have a good control over the knife. The knife runs fast and strong and the blade is 9” long. The stainless steel blade is not only sharp, but also tough and long lasting. the serrated blade cuts easily through all kinds of meats and fishes. The knife has a good, sturdy grip that doesn’t engage many pressure points. There is less fatigue and strain for your hands when using the knife. 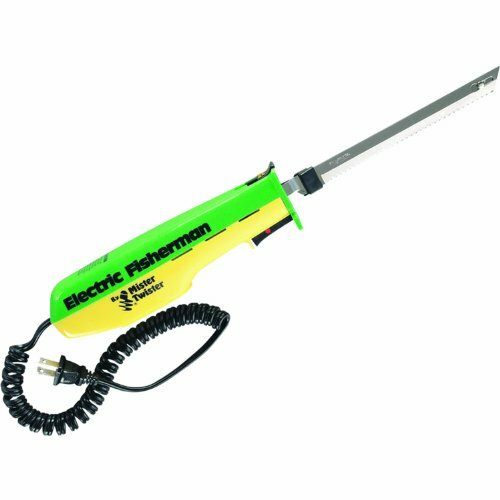 But, for the money you pay, you get a reliable and efficient electric fillet knife for your soon to be landed catfish. If you are a big fan of the red fish, then you need a good and efficient electric fillet knife like the Rapala Heavy Duty Electric Fillet Knife. The knife is not only sharp, but also very fast- in case you are worrying for getting behind after you landed the red fish. The knife is also very strong and is ready to take the heavy use. The blade is sharp and gives you efficiency when filleting. The knife features the Air Flow design, which means it’s lightweight and easy to use. the grip is good and the knife doesn’t slip. It sits nicely and comfortably in your hand, with minimum pressure points when in use. The reciprocating style blades are 7 1/2” long and do their job very well. They are dishwasher safe for easier cleaning. The knife is not difficult to disassemble for cleaning either. The heavy duty motor takes the intense use. the knife is strong, but the power is not difficult to control. We’re not worried about the cons as they don’t take away the many qualities the knife presents, which make it a great choice for filleting your red fish. All of it. Fast and easy. If you are patient enough to fillet a pan fish (we know that you already landed it! ), you could use a reliable and sharp knife like the American Angler Classic EFK Freshwater Series Knife with 3 Blades. The knife is a great choice for any freshwater fishes (there is also a Saltwater series) and comes with 3 blades for more versatility. You can change the blades according to the fish you landed or the meat you want to fillet. The motor is powerful and the gear system give the blade good speed and accurate cutting. The knife features a vent design that minimizes the risk for the knife to overheat when not in use. The ergonomic handle design ensures a comfortable use and a great feel in the hand. The grip is secure and you can use the knife for a long time without feeling your hand tired or strained. The cord is long so you have some freedom when cutting. The knife comes in a handy carrying bag that is well ventilated so there is no odor or corrosion building-up. Let’s not oversee the good parts, though, as they are many and you can definitely fillet your pan fish next time you land it. Every time you prepare the Sunday BBQ, move faster and safer (and more accurate, of course) with the Cuisinart CEK-40 Electric Knife. The knife comes with great quality stainless steel blades that are razor sharp and reliable in so many situations. The knife also comes with a bread blade that should only be used on bread. You get also a carving blade (the main reason why you’d buy the knife for BBQ) and a butcher block holding tray-highly useful, we may add. The knife has an ergonomic handle that gives a reliable and sturdy grip, but may feel a bit too big for the small hands. There are many great features on the electric knife. The On/Off control is efficient and you only have to use one touch pressure to activate on/off trigger control for easy operation. The design is thought out for easy operation for left and right hand at the same time. 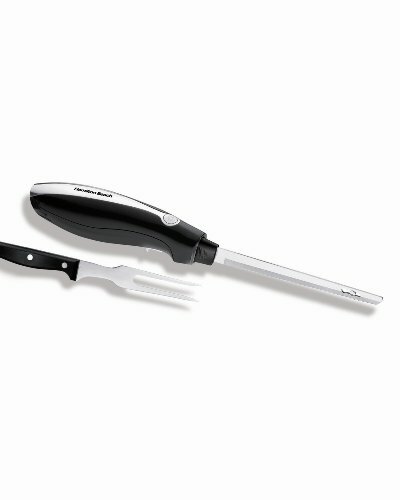 The electric knife comes with a sufficient 4-foot cord so that you can move freely when preparing the BBQ. When it comes to safe use, the electric knife presents not only a safety button, but also with blade release buttons (for easy and safe removal or change of the blades). The blade lock keeps safely the blades to wood block also. The sturdy wood butcher block is made from high quality hardwood and helps you store (quite nicely) the knife on your countertop or in a drawer. The cord storage is well thought out as you don’t have to find a place for its storage. The knife is easy to clean and highly versatile. Despite the minor flaws, we think the knife comes with way too many qualities that you can’t oversee when shopping for a BBQ electric knife. If you are dedicated to your fishing, it’s obviously you’re into carving and getting your fish ready for dinner. If you haven’t tried it already, get yourself a reliable and highly versatile electric knife like the Mister Twister 120V Electric Knife. The knife features an efficient 120V AC so you can use it in many situations. It features a practical blade release so it accommodates not only the standard 7” blade, but also an 8” or a 9” blade. The knife has a relaxed hand design so it’s comfortable for prolonged use. it leaves a nice feel in the hand and the grip is sturdy and reliable. The knife is lightweight and even though it offers a high cutting torque, it’s rather easy to control. It’s easy to use and its compact shape helps you with the storage. You may use it for all kinds of fishes, crappie, walleye and so on. The safety lock makes it safe when not in use. The knife is easy to disassemble for comfortable cleaning. Despite these cons, when in need for a reliable, ready to cut knife, don’t sit on a fence and give it a go with the Mister Twister. 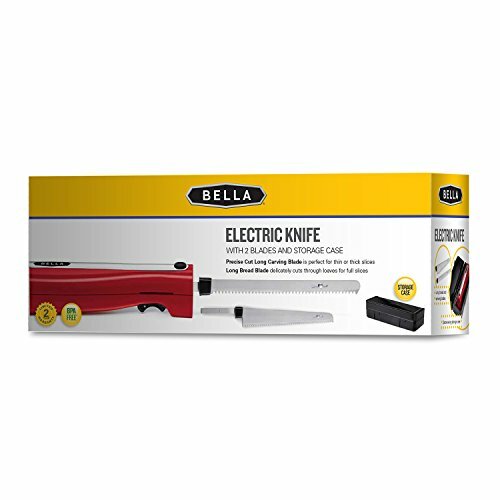 No matter which type of bread you like to have for dinner, either it’s fluffy, either it’s crusty or it’s soft and chewy, get some help in getting the perfect slice with the Bella 14527 Electric Carving and Bread Knife. The knife comes with different blades for meats and bread, so that you don’t mix them and fail when getting a good slice of meat. The carving blade helps you obtain thin, medium or thick slices. When cutting the bread, you don’t need to worry about the slices getting deformed or flattened from the knife either. The blade-release button helps you remove easily the blades from the motor. The handle has a well thought out design which brings comfort and easy on use. the grip is sturdy and cozy for both left and right-handed users. The knife comes with a useful storage case that helps you store the knife and the both blades. Plus, it’s easier to carry it around like this. The knife is easy to disassemble and to put back together for an easy cleaning. The 120Watt motor is strong and efficient. Despite the minor issues, we think the knife is a good choice when trying to get the perfect slice of bread. If you are determined to get professional when preparing your Gyro meat, don’t hesitate to try the Hotkey Professional Wireless Powerful Electric Shawarma Doner Kebab Knife, Kebab Slicer, Gyros Knife. The knife comes with a strong and sharp blade that is made of 420 Stainless steel. This means the blade is long lasting and ready to take the heavy use. The blade is also very thick and able to go through the thickest meat. You can easily cut lamb, chicken and even cartilage meat with the electric knife. Even though is very powerful, the knife operates smooth and quiet. It’s highly portable and rather easy to use and clean. The blade offers you the chance to adjust the thickness according to your needs, from 0,5 mm to 8mm. 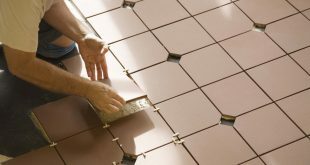 The blade comes with a blade protector that is removable and easy to clean. It comes with several accessories and ready for operating. The laser engraved logo gives it a nice and elegant look. The knife comes with a charger for the two batteries that let you work continuously around 115 minutes. The batteries need around 90 minutes for charging. The cons don’t matter when you see the whole package: a sharp, heavy duty, strong electric knife for gyro. When you want the perfect slice of bread (no matter the type of bread you’re having) or a nice slice of meat, give it a go with the Hamilton Beach Electric Carving Knife with Case (74275). 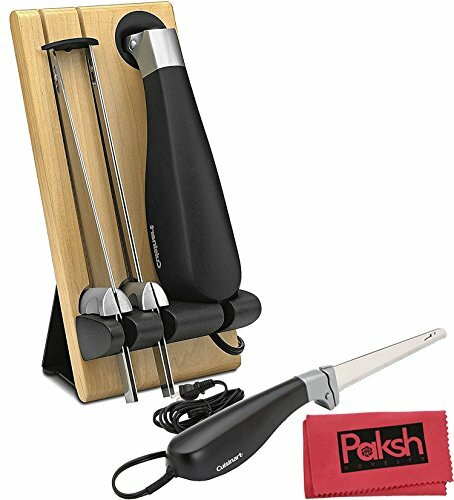 The electric knife comes in a compact case that stores all the components. The case doesn’t take much space, so you can easily find its place in your kitchen. The knife is powerful enough to carve all kinds of meats and to slice bread even, every time. The stainless steel blades and carving fork are durable. The blades come out easily for a handy cleaning. The cord is long enough to do your job in the kitchen. The handle has an ergonomic design and the grip is quite sturdy most of the time. The fork is just the right size and also gives a good grip. It’s efficient and reliable. The knife is well made and is reliable when slicing bread. All in all, for a very good price, you get an electric knife able to help you slice evenly and perfectly your bread or thick meat every time.